Cake pops. Popular and tasty as they are, I have never had much of an interest in making them. As much as I love chocolate, I find the process of dipping things in chocolate to be both tedious and messy. I admire those who have popularized and mastered these tasty morsels of cake mixed with icing. 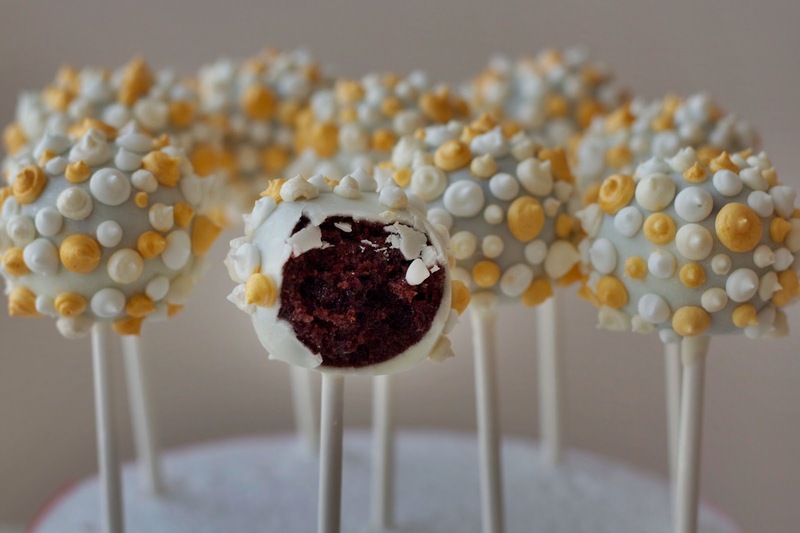 I had some leftover chocolate cake scraps and vanilla frosting and rather than letting these sweet commodities go to waste, I decided to make cake pops. There is a cake from Mich Turner's The Art of Cake that I have been looking forward to trying. The cake design was inspired by a Chanel clustered pearl necklace. I thought I would try this design on a smaller scale on the cake pops. For the inside of the cake pops, I used leftover devil's food cake and mixed it with vanilla frosting. I did not measure anything. I added cake and frosting until I achieved a texture that seemed easy to work with. I rolled the cake mixture into loonie-sized balls. I dipped the lollipop sticks in melted white chocolate wafers before sticking them into the cake balls and put them in the freezer to set. I melted more white chocolate wafers in the microwave and re-warmed as needed throughout the dipping process. 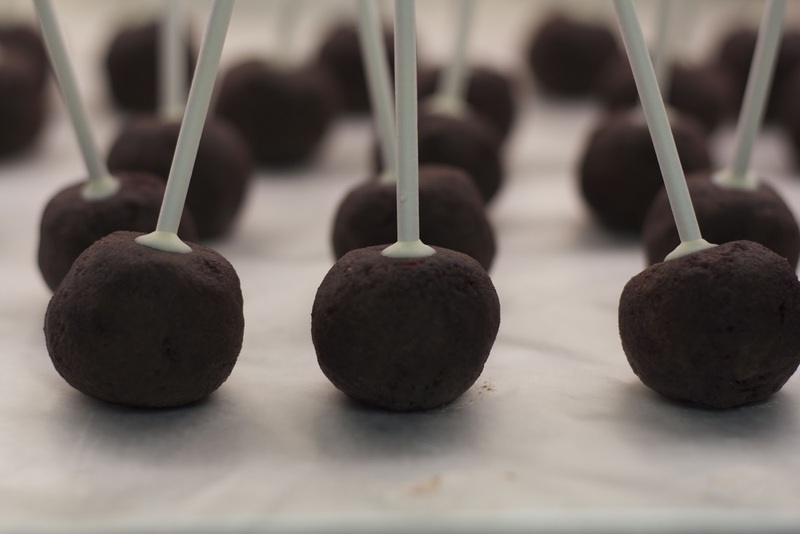 The first few cake pops cracked as the chocolate set. After a quick search on the internet, I found out that there are a few theories as to how this can happen. One theory is that this happens due to the cake pops being too cold therefore it is advised not to dip them directly from the freezer. Another theory is that if you compress the cake pops too much when rolling that they may expand once they've been warmed and dipped in chocolate causing the coating to crack. I took them out of the freezer and as they warmed to room temperature, they did not have cracks as the chocolate coating dried. 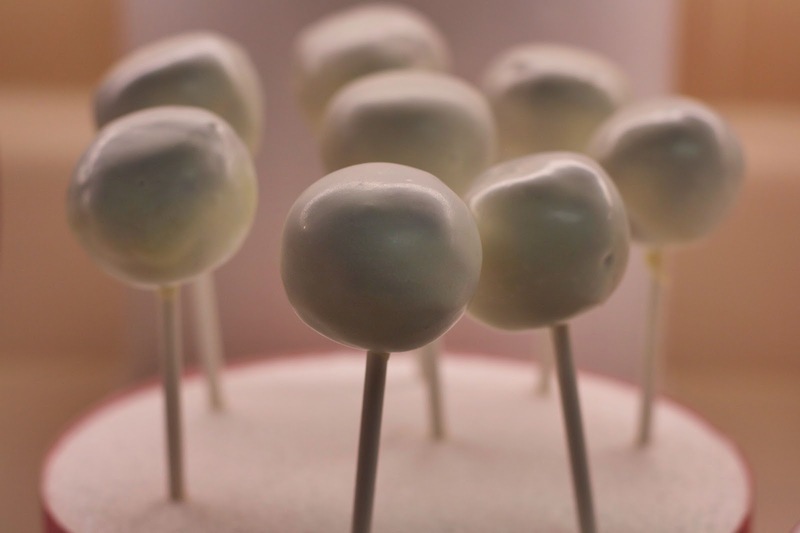 The only problem was that by the time I got to the last two cake pops, they were too warm to stay securely on the lollipop stick. I suppose the best compromise would have been to keep them in the fridge. I found the chocolate a bit thick to work with, so thinned it with a few drops of grape seed oil. The chocolate cake was unfortunately too dark for a white chocolate coating which led to a grey-ish hue. To decorate the cake pops, I made a small batch of royal icing and tinted 1/3 of the icing gold, 1/3 ivory and left 1/3 white. I piped the balls using a no. 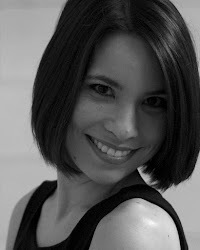 1, 2, 3 and 4 tips. Unfortunately I had only one no. 1 tip as I think the pearls were better with smaller tips and left less of a peak. You could brush the peaks down with a damp brush but the process was already quite long and it was really just a practice run for a full-sized cake. 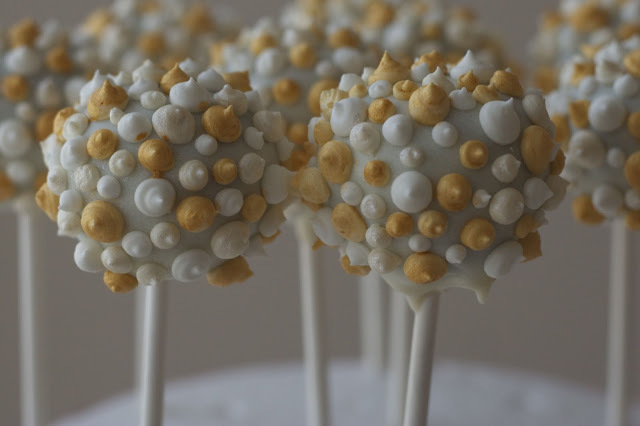 After I finished covering the cake pops, I used gold lustre dust and a white-ish lustre dust mixed with a little vodka to paint the gold and ivory pearls. The effect was not quite what I had hoped to achieve but I think it will be easier on a larger surface to get a higher proportion of smaller-sized pearls and it will look much better on a white background then then a grey-looking background. The most important thing was that they were delicious! I do not think that these will become a staple of my cake decorating ventures but was happy to have tried them. I got one this time! Yay! I didn't think that I would like the crunchy royal icing (i thought it would be prickly) but it added *just* the right crunch. It was delicious!